myPhone C-Smart Glam was equipped with an Android 6.0 Marshmallow, a 4-inch WVGA (480 x 800 pixels), Quad-core 1.2 GHz processor, 1 GB RAM, 8 GB internal memory and slot for memory cards microSD (up to 32GB). the Smartphone also has dual camera (primary 2 Mpx, front 0,3 Mpx) mode, Dual SIM, wifi, GPS, Bluetooth and battery capacity of 1400 mAh. 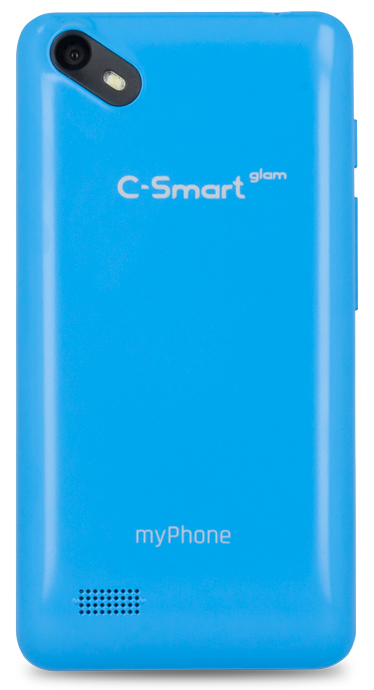 the Smartphone myPhone C-Smart Glam is available from Thursday 13 November in stores ” Ladybug in three color options (white, blue and black), at a price of 199 UAH.